Your Guide to Opening Day with the Cincinnati Reds - Ohio. Find It Here. 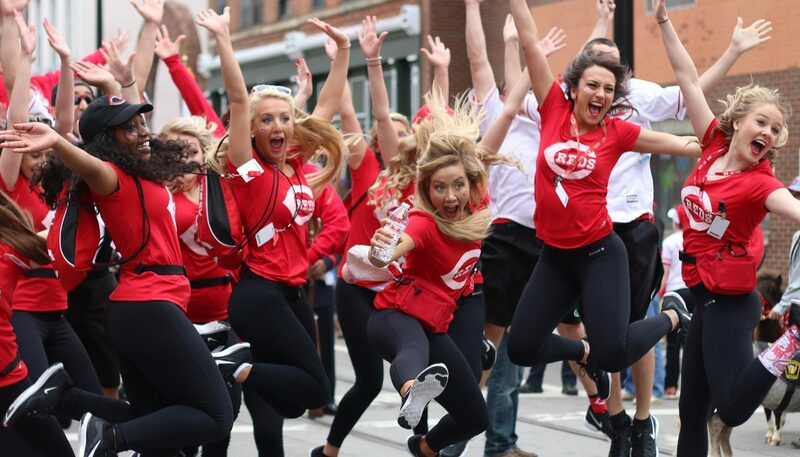 This year’s Reds Opening Day promises to be the biggest ever! 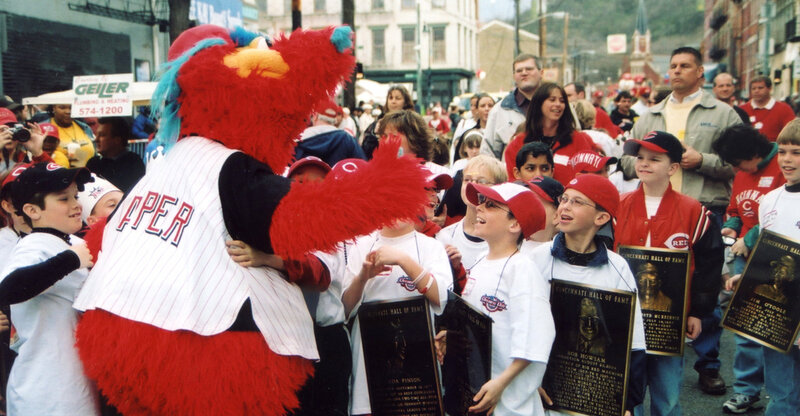 Not only is it the 150th anniversary of the Reds (America’s very first professional team) but it’s also the 100th anniversary of the Findlay Market Opening Day Parade. And in Cincinnati, it isn’t just the first game of the year, it’s pretty much a city-wide holiday. In their entire history, the Reds have opened their season at home all but one year (1888). This year, they’ll face off with the Pittsburgh Pirates – the first pitch set for 4:10 p.m. But there’s much more than the game. 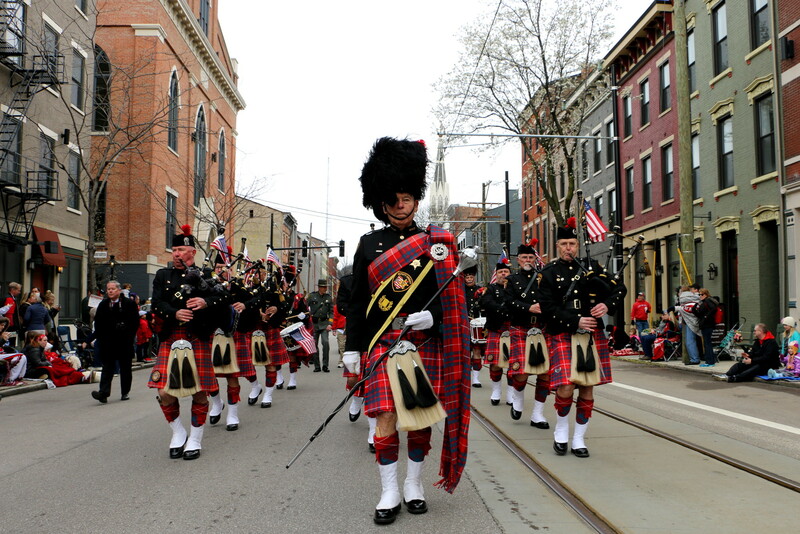 The biggest event of the day will be the parade, kicking off at noon in Over-the-Rhine’s Findlay Market. The parade will head south on Race Street and hang a left on Fifth Street before dissolving at Taft Theater a few blocks from the ballpark. 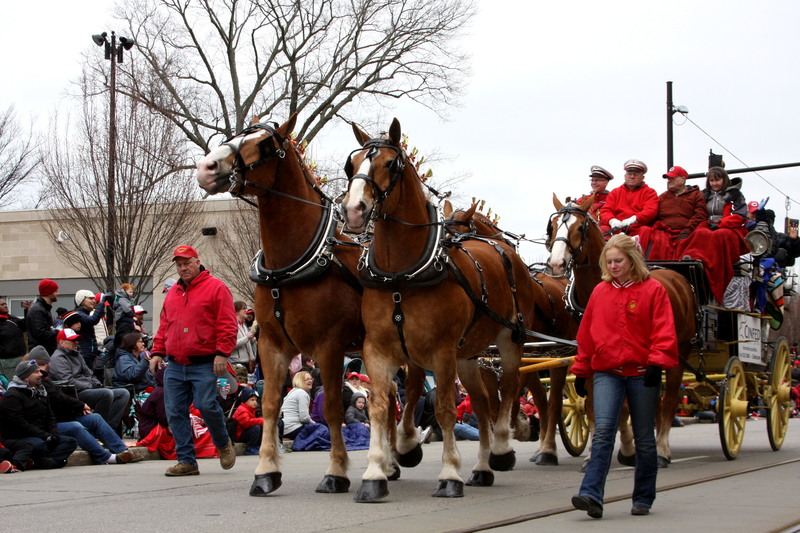 Featuring more than 180 entries including marching bands, dancers, police and fire equipment, the Budweiser Clydesdales, bagpipes, big men on tiny motorcycles and dozens of floats – the Opening Day celebrations truly begin here. This year will feature some special guests, including Grand Marshal Major League Baseball Commissioner Rob Manfred, and Parade Ambassador Hall-of-Famer, 19-time Gold Glove Winner, Reds All-Star and World Series Champion, Johnny Bench. If you plan on attending the game, parade or any of the festivities, remember to dress for all possibilities – Cincy weather can be fickle. In 1984, with a sell-out crowd of 52,000, Mother Nature offered up sunshine, then rain, then snow. Silver lining? The Reds won! Sam Adams Taproom near Findlay Market will begin serving coffee, breakfast and of course, beer at 9 a.m. and the party continues all day and half the night. Jack Casino will host a live broadcast of the Bob & Tom Show from 5:30 – 10 a.m. The Reds Community Fund Charity Block Party kicks off at 11:00am at Joe Nuxhall and Freedom ways, near the ballpark. Admission is free. Enjoy food, beverages and live music before the game. Proceeds benefit the youth baseball programs of the Reds Community Fund. Local venues will be wide-open and ready for Reds fans. Check out Rhinegeist Brewery, AC Hotel Upper Deck, Top of the Park, Arnold’s, The Righteous Room, Sonder Brewing and others for your opening day fun. An added bonus – you can be sure your celebrations won’t break the bank. Out of the 30 major league teams, ticket prices for our beloved Cincinnati Reds rank as the second-most affordable. Get your rally caps ready and cheer the Reds to victory. Hello Cincinnati Reds Opening Day!